October 3, 2014 - Make sure you like EcoJoes on Facebook to stay updated on green ways to save money and help the environment. Just click the "like" button below. Muchas gracias! How many of you live near a trashy river or stream, and have noticed piles o’ junk in it, or other such debris on its banks? It’s enough to make an eco-heart weep. Now imagine if that stream was clean and pristine; no litter, lil’ fishies swimming around in it, birds a-livin’ next to it, no Indians crying, raccoons a-washing their hands in its pure, flowing agua. Cleaning up the river not only gets rid of all that trash, it helps the wildlife around it, AND makes it look better next time you see it. Heck yeah. Plus, you can let your inner artist go hog-wild and create some river trash art (patent pending). Anyhoo, please take a minute to check out the National River Cleanup. 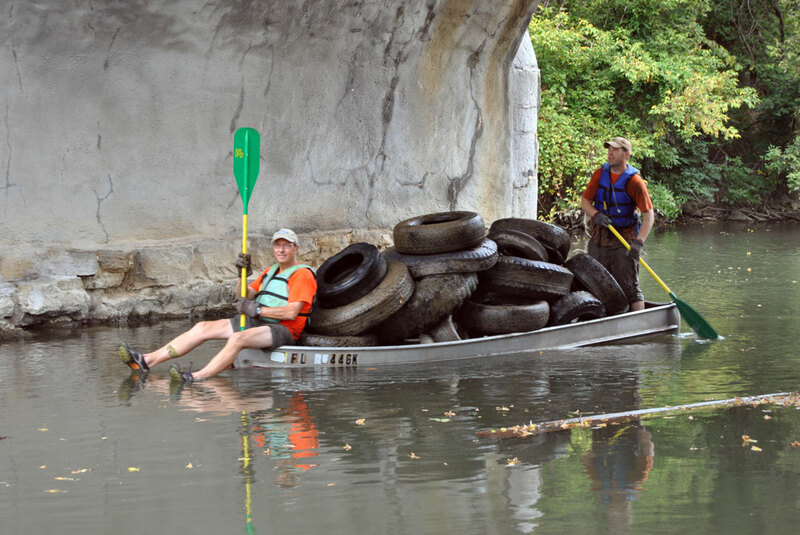 This here map will help you find a river cleanup near you. Or, you can take the initiative (“seize the bull by the horns” — literally) and organize your own river cleanup. If everyone took just one day a year and did this (instead of watching some telly or messing around on the world-wide internet), just imagine the huge difference it’d make. Posted in cleaning, water	on Friday, October 3rd, 2014 at 10:00 AM. You will get the dvd player windows 10 download which will let you to play all types of high quality of music in windows 10. Really Really i Agree your point. Yes river water is god's gift. Even if people do not try to clean it, it is enough to keep it clean. It helps to keep our environment clean. The best online essay writing services provide help for students. Academy students are most commonly struggle with projects for Business, English language, and Management courses. Toko Online https://30seconds.com/Spesialisherbal/ menyediakan obat herbal bermutu tinggi dengan tujuan memperbaiki performa kesehatan tubuh. Situs Kesehatan Spesialisherbal merupakan pusat obat herbal yang menjual obat herbal bermutu yang terpercaya di Nusantara.